There seems to be a real buzz developing about the release of the Raspberry Pi computer. 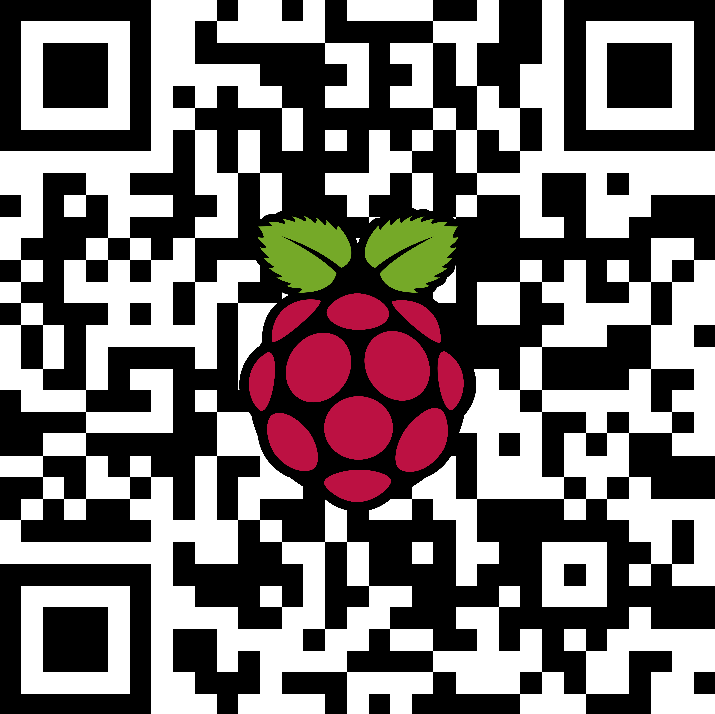 This QR code poster nwas developed by Jonas Butz, a high school student from Germany. But before I go on to look at what the Raspberry Pi is, lest explain why I think it is so important. There has been a long debate in the UK on what kids should be taught about computers. fairly obviously the ‘old’ curriculum which all too often focused on the ability to use things like spreadsheets or worse still Powerpoint was inadequate and failed to interest many students. I don’t think the latest government policy of introducing a GCSE (the single subject qualifications students take at around 16 years old) in computing science is really the answer (even with a focus on programming). I am still worried about how we can move from the idea of digital literacies to critical literacies (although I guess this depend a little on how you define these terms. And I increasingly feel we should be able to teach kids how not just to hack software and to have a critical understanding of the role of digital technologies in society but also to be able to hack the hardware itself. Steve Jobs always talked about Apple’s aim to be at the interface of engineering and the liberal arts. But in many ways Apple’s closed infrastructure and its obsession with locking down devices (to the extent of even using special screws which cannot be removed without Apple tools) has stopped young people being able to explore hardware and try out their own hardware solutions. Surely hacking hardware is the best way of learning engineering and at the same time thinking about what role technology might play in our societies. So I am excited by the launch of the credit card sized Raspberry Pi computer which it seems is now shipping at a price of 25 dollars for model A and 35 dollars for model B. OK this is without a keyboard, mouse, monitor or case. But, in my experience, the first thing geek kids do is remove the case from their computer! This video talks about the Fedora Linux release which is being recommended for the Raspberry Pi. Traian Bruma emailed me to explain the purpose and format of the conference. Our aim with imaginarium (the event) is to change the DNA of education in Romania and as George Bernard Shaw put it “The imagination is the begining of creation”. This is why the event is called Imaginarium – because it’s a place devoted to the imagination of the future of education in Romania. Opened by Leonard – about democratic education; This will help them disconnect the notions of education and industrial schooling model. I think that the Summerhill philosophy about education will inspire them and free their minds to think in a different way about learning and education and to discover that there are opportunities in doing things differently. Opened by Graham – help them start shaping the ideas focusing on the interaction of technology, community, educational philosophy, thinking about the opportunities of different technologies and mashups to create new ways for people to organize themselves, interact and learn. This sounds like a lot of fun and a brilliant format that could be adopted elsewhere. I shall report on how it all, goes. As I wrote only a couple of weeks ago Massive Open Online Courses are here to say. Almost everyday I stumble on notifications for a new MOOC. Most MOOCs I have been involved in have been at least 10 weeks long. This will be a short MOOC. What are the issues specific to short MOOCs? The main reason I have been so quiet on this blog in recent weeks has been the European bidding season. Pontydysgu receives no regular funding and although we have some small consultancy contracts and do some teaching, the majority of our income is from project work. In the past, we had considerable funding from various UK agencies, this largely dried up with the onset of the recession and government cutbacks. This, we have become more reliant on funding from the European Union. There are two main programmes for education and training in Europe, the European 7th Framework research programme and the Lifelong Learning Programme. The Research Framework funds larger projects than the LLL, but has historically been more competitive. For both programmes, the application process is not straightforward, requiring completion of long forms and documents. In general both programmes are targeted towards innovation, however defined, and both tend to set priorities based on current EU policy directives. Both also require multinational project partnerships. Both have been on call recently – involving many hours of work to develop proposals. In the past, the reality was that one or perhaps two partners would prepare the project requiring only limit input from other project members. And whilst this is still sometimes the case things are changing fast. For large and c0mplex projects especially in the Technology Enhanced Learning field expertise is needed from different disciplines and from people with different knowledge and skills. Technology for distance communication and for research has allowed the dispersed and collaborative development of project proposals to become a reality. We have recently submitted a large scale proposal to the Research Framework IST programme on learning in Small and Medium Enterprises. This project has some 16 partners drawn from I guess around ten countries. And whilst the input and hard work of the coordinator was central to the proposal, the work was undertaken collaboratively with many of the partners making a major input. What tools did we use? Google docs were used for collaboratively producing earlier versions of our ideas. Doodle was important for setting dates for meetings. Flashmeeting was used extensively for fortnightly meetings of partners (in the latter stages of the proposal weekly or even daily meetings became the norm). Skype was also used for bilateral meetings. And Dropbox was used as a shared file repository. Dropbox proved to be a little problematic in producing somewhat confusing conflicted copies which then has to be edited together. But overall the system worked well. I think what is important is that the tools do exist. And we do not need any big research infrastructure, rather what is needed is the imagination to share through the use of everyday productivity and social software tools. And it seems to me that if we are able to use such tools to develop a complex and collaboratively produced research proposal, the same tools can be used for collaboration between learners or for small businesses. The barrier is not so much usability fo the applications themselves, but a willingness, understanding and appreciation of how to collaborate!